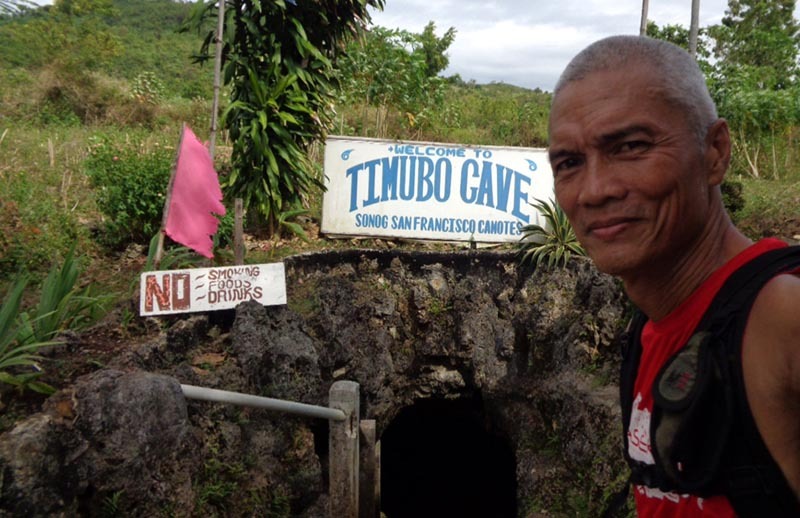 After visiting Crystal Cave, I continued with my push-bike until I came upon another cave sign - Timubo Cave. I was on a roll! There is no guide for the cave. Instead, they lit up the inside and paved the path all the way to the swimming area. 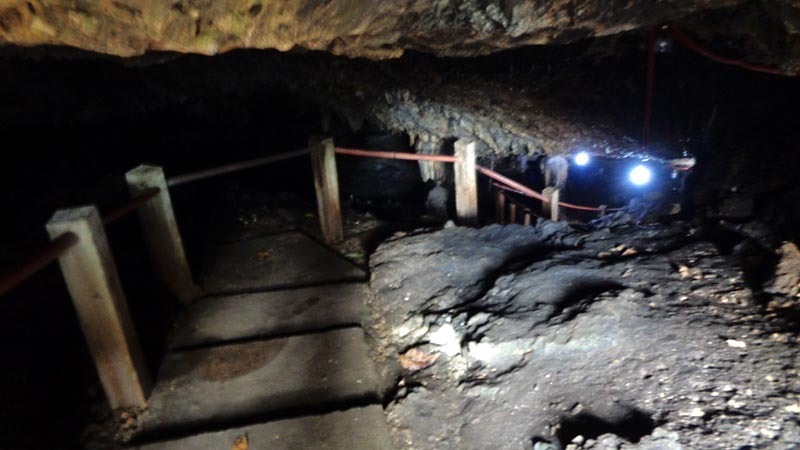 This reminds me of the massive cave in Halong Bay that was turned into a park - complete with colorful lights, hand rails, and concrete steps. 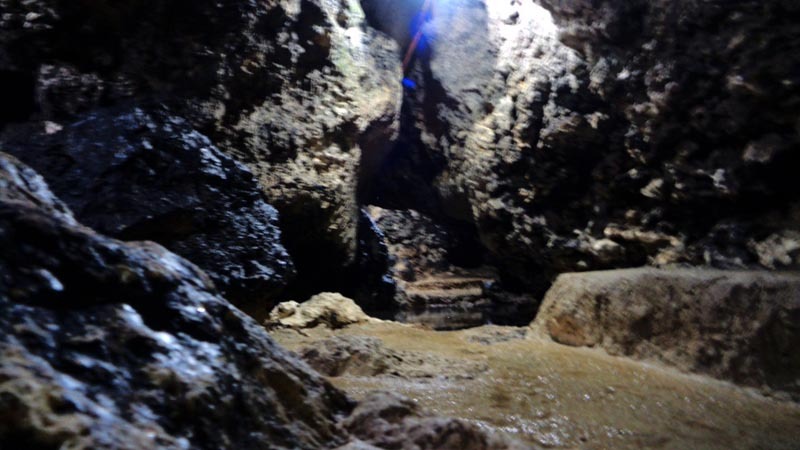 There was even an office desk inside the cave! 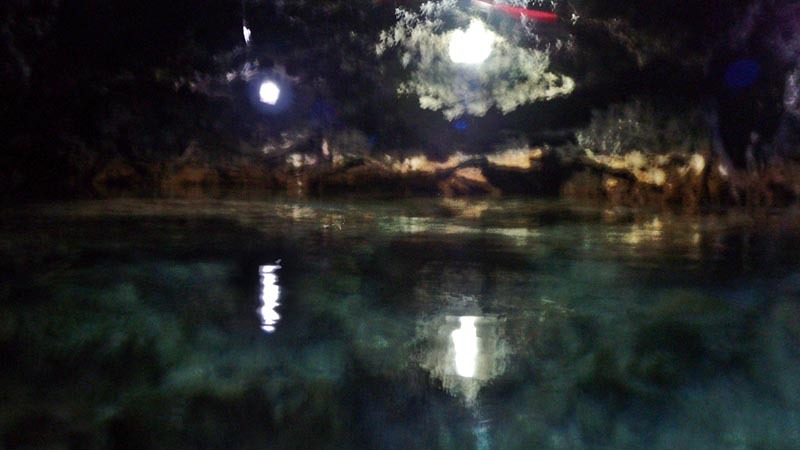 It felt like a theme park instead of a cave adventure. 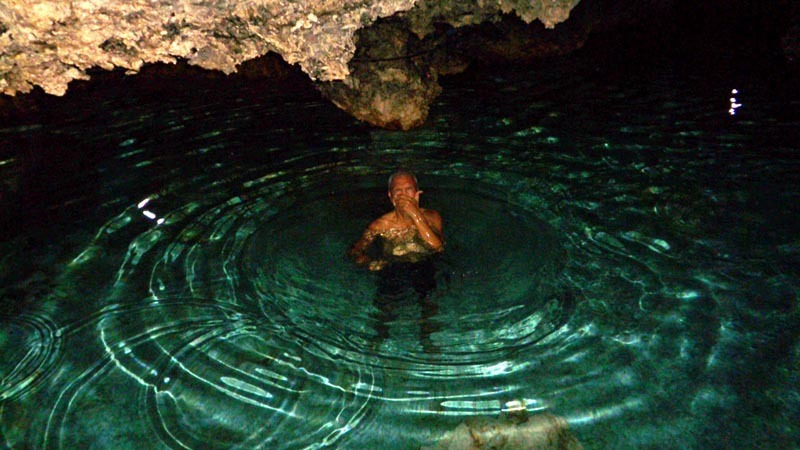 With all the installed lights and concrete paving, what would otherwise be a petrifying chest-deep wading in a pool inside a pitch-black cave, it just felt like a night dip in a swimming pool. All that potential Indiana Jones excitement is lost. Having said my misgivings, it was still a refreshing dip in its crystal clear water. 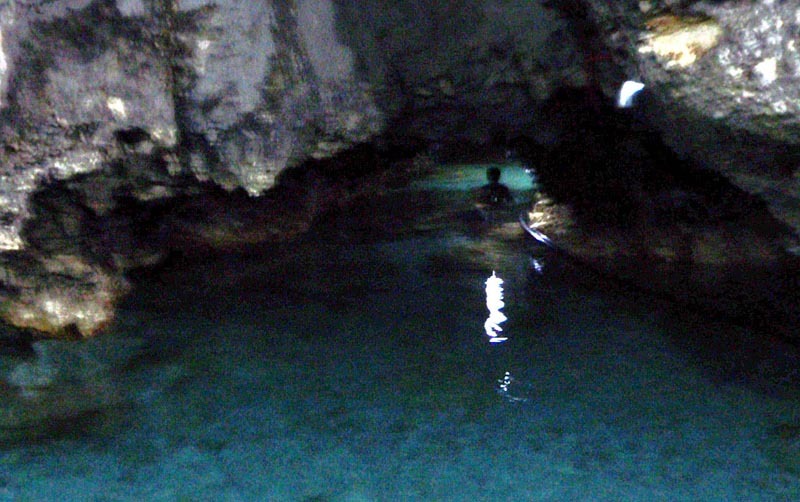 The lights only extended up to the swimming area but the cave goes deeper. 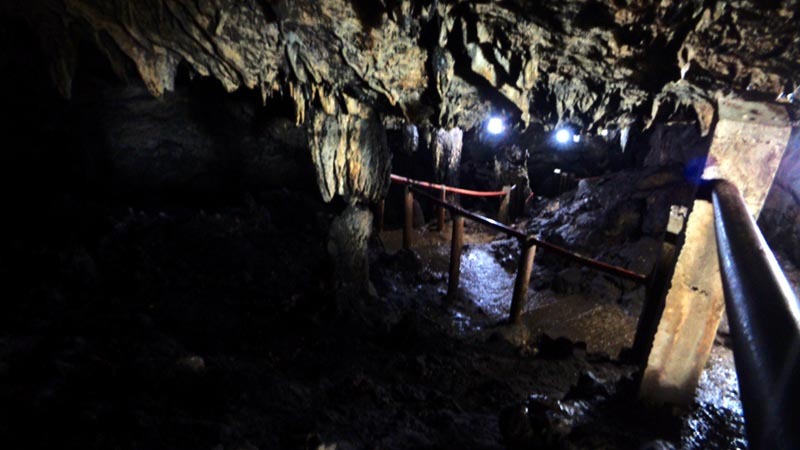 If there was a guide to take the daring few deeper into the cave, where you rely on your headlamps and feel your way through tactile perception, the excitement would still be won. By paving the way all the way inside the cave and providing lights, the Indiana Jones feel of exploring the cave is lost. 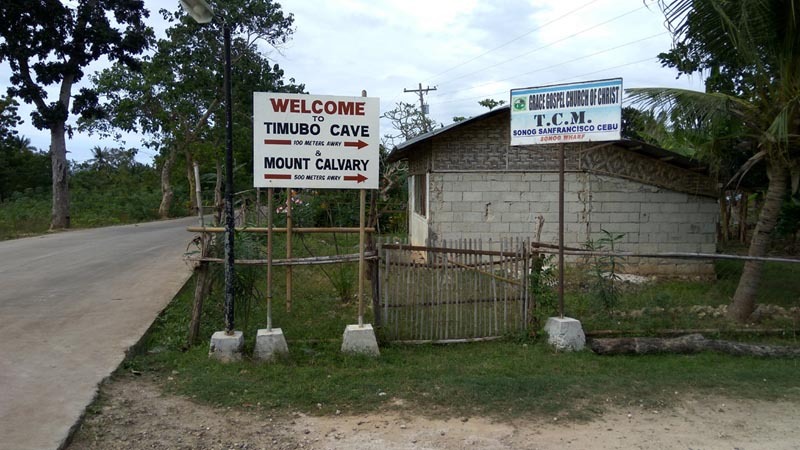 On the other hand, this made the cave accessible to those who are physically challenged. 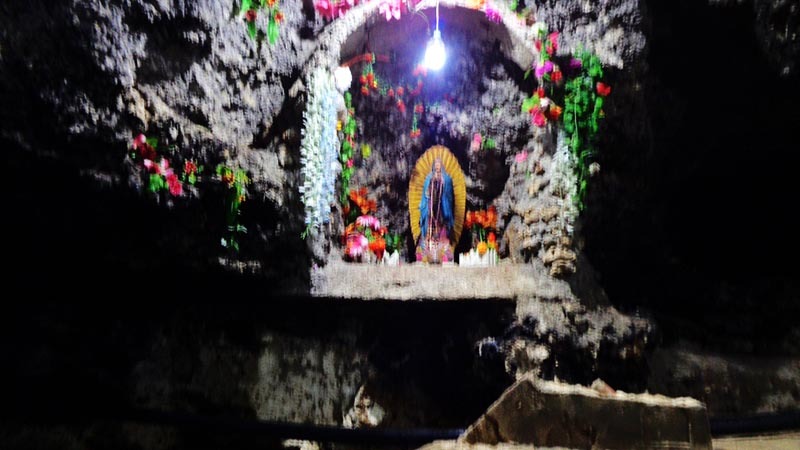 I believe the best compromise is to provide a guide to those who wish to venture deeper into the cave without the benefit of installed lights or concrete paving. 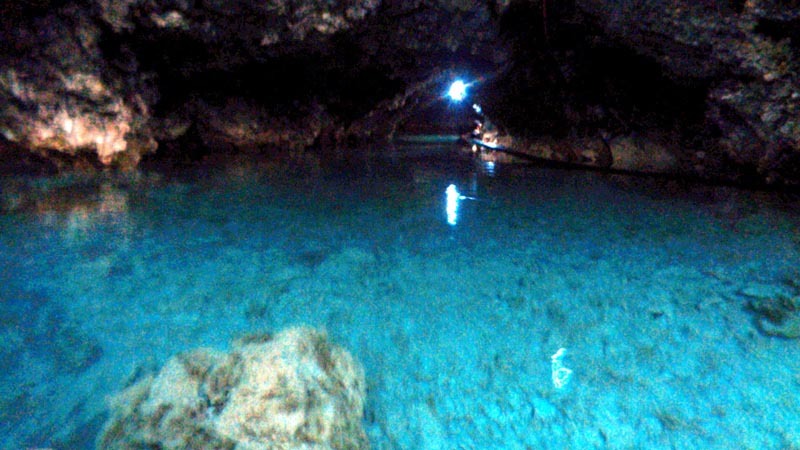 Altogether, Timubo Cave is spectacular specially with the crystal clear water to take a dip into.